T’is the season to get shopping trala-la-la-la-la-la-la-la. I can’t believe how much Christmas has crept up on me this year, I haven’t even started my shopping yet. For anyone else who’s still on the hunt, this one’s for you! Maybe you don’t know what to surprise your loved ones with this Christmas or you’re in need of some inspiration for your own wish list; from glittery nail polishes to pretty palettes, this gorgeous gift guide has got it covered. It wouldn’t be Christmas without a little MAC under the tree. 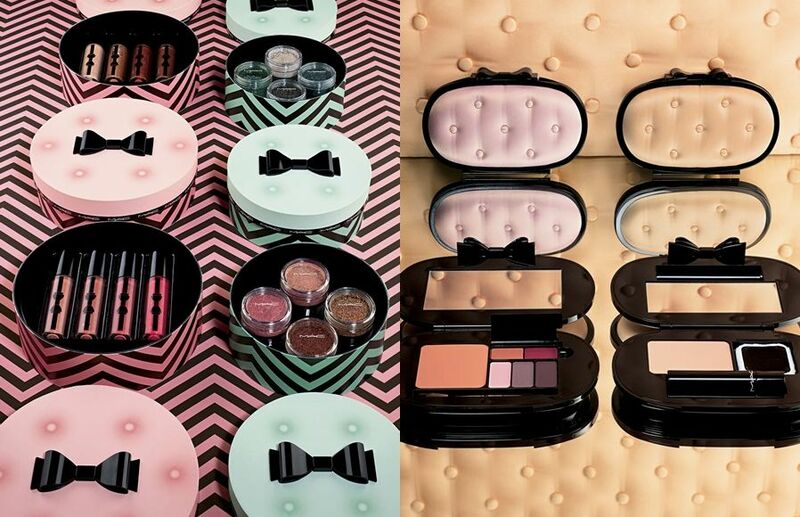 This year’s Christmas Collection scream class and style with satin-tufted compacts, leopard print brush bags and dazzling face palettes. Men, I guarantee you’ll be in the good books for a long time if your lady wakes up to one of these treats on Christmas day. Ladies, drop those hints and drop them good! Lush by name, lush by nature. 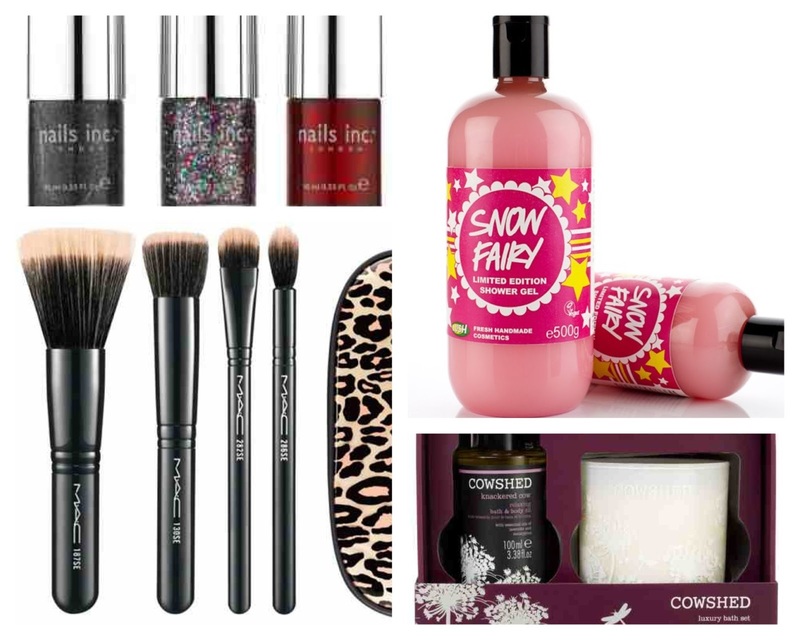 They have stacks of gorgeous stocking fillers including Santa’s Sack bath bombs and Snow Cake soaps, but this glittery Snow Fairy shower gel would be top of my list. An intensely pink shower gel that’s bursting with fruity fragrance and sparkling ice. T’is the season to be sparkly! 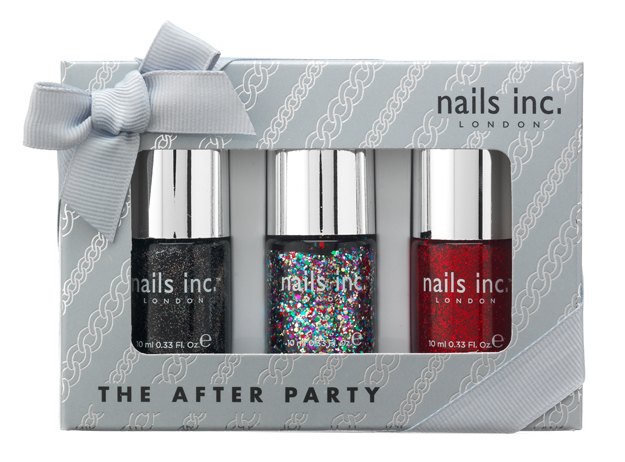 This cute gift set from Nails Inc has all your party season nails covered. Disco Lane - black holographic glitter to go with that LBD, Covent Garden Market – a full coverage red glitter, perfect for Christmas Day and Soho Street – a chunky rainbow glitter perfect for when that glitter ball drops on New Years Eve. This one is purely indulgent... because I want it! The legendary French perfumer make the most amazing candles. 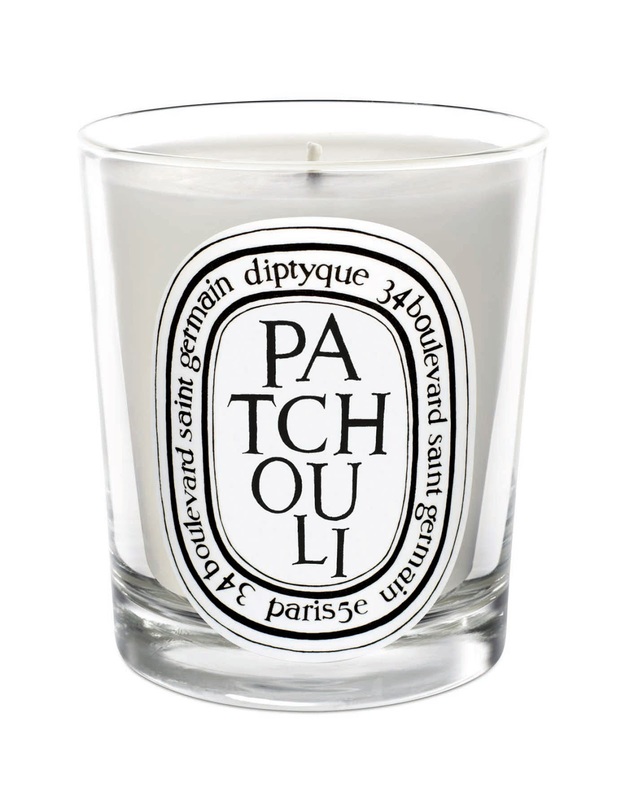 I know they're pricey but 190g candle will burn for around 60 hours, so think of it as 63p per hour of glorious scent. For ladies that love to bathe... 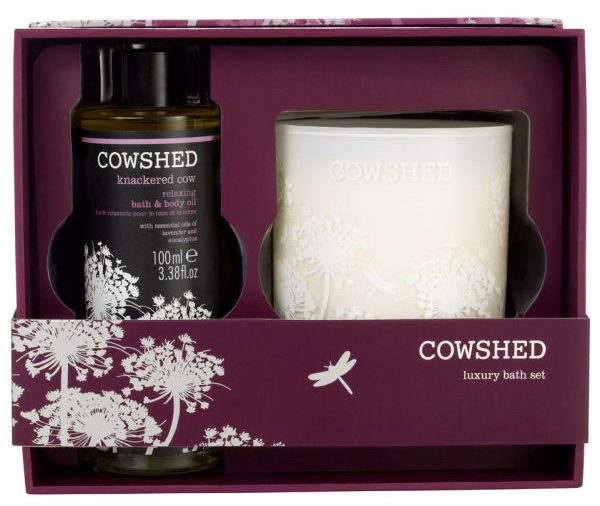 This limited edition Luxe Bath Gift Set from Cowshed is cheeky and cute. With a Knackered Cow Relaxing Bath & Body Oil and gorgeous scented room candle, which are enriched with essential oils of lavender and eucalyptus, you’ll be bathed and relaxed in no time. There’s not a woman alive that won’t be impressed by this wand of wonder. 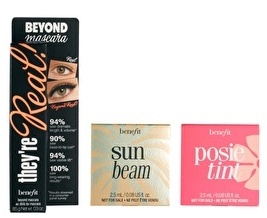 This cute set from asos includes probably the best mascara in the world They’re Real plus a sample-sized Sun Beam highlighter and Posie Tint cheek and lip tint, all for £18.50 – which is what the mascara costs by itself. This one’s on my list hint, HINT! Strictly speaking not a beauty gift, but a beauty nonetheless, this stylish Vivienne Westwood purse would fit the bill for the fashionista in your life. Black patent leather with moc croc design and a style gold orb, GAW-JUS! 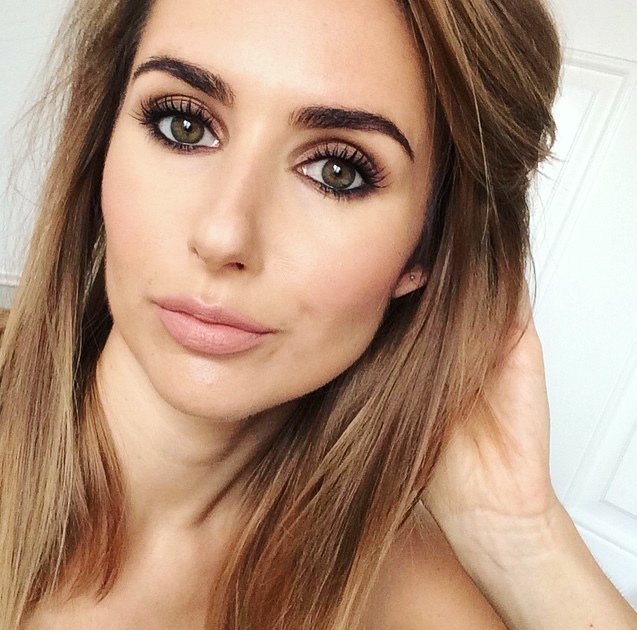 Hope you feel inspired, will you be snapping up any of these beauty gifts? I'm a brazilian woman and i speak just a little inglish. But a love your blog. I'm always here, but I never commented.